You must be a member of the Singapore The British Group to attend this activity. Would you like to join this group? Let’s meet at Protected content on Sentosa Boardwalk and chat while having Afternoon Tea. 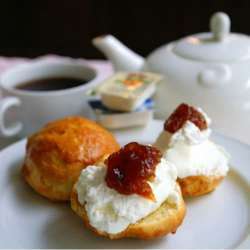 You can buy Afternoon Tea for only SGD 10.90++, you get two freshly baked scones served with freshly prepared clotted cream, lemon butter and home-made jam plus unlimited tea or coffee.